When my son was here at Christmas, he was looking through a cookbook I had sitting out on the counter, and found these scones. The chocolate/peppermint combination is one of his favorites, so he asked me if I would make them. Needless to say, I never was able to fit them in until now. 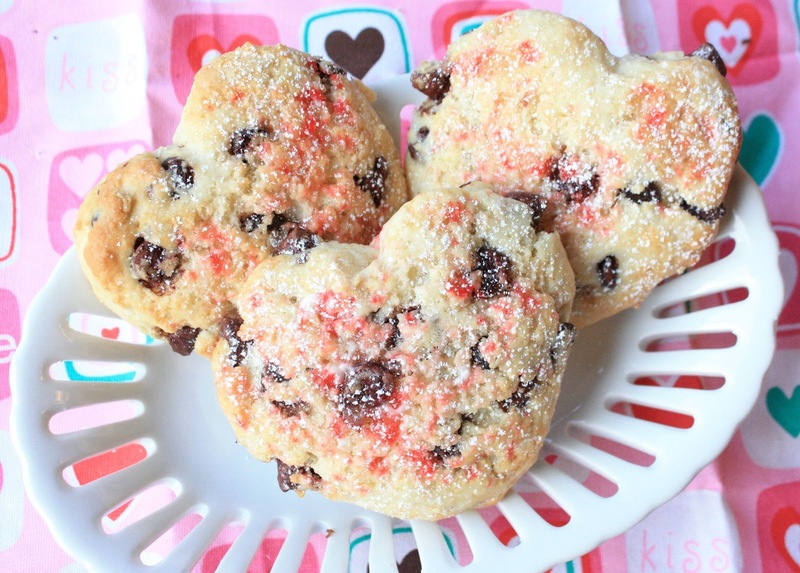 I thought they would work well for Valentine's Day too, especially with the heart biscuit cutter. I was happy to see that they kept their shape after baking:) These scones were very easy to make and came together in a snap! I hope Jesse and his family enjoy eating them as much as I enjoyed making them (and eating one:)). Making these was also a great way to use up the last of my candy cane stash. The candy canes added just the right amount of Valentine red to the hearts. The Chocolate Chip Peppermint Scones recipe can be found HERE on Barbara Beery Kid's Cooking! Barbara is the author of the cookbook which includes this recipe, Pink Princess Cookbook, and I just discovered that she has a blog. I can't wait to check it out; you should too! Thanks Barbara for the yummy recipe! 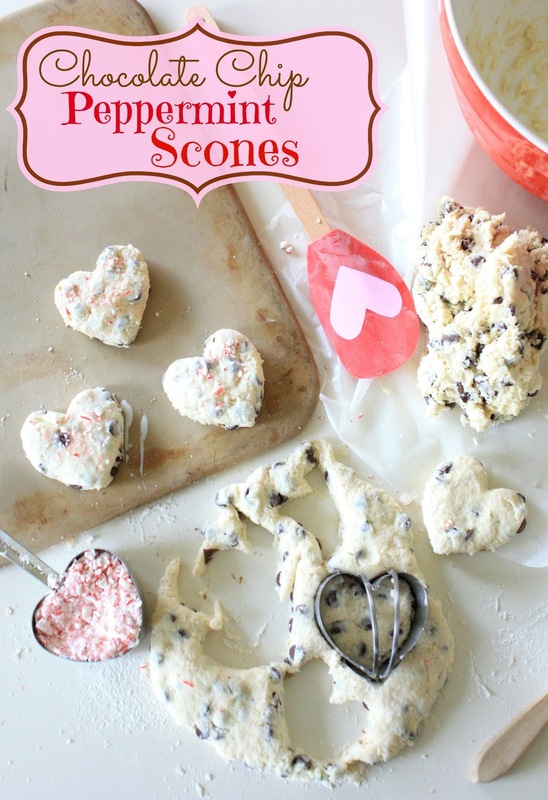 If you need a quick, sweet treat for Valentine's Day, look no further...These scones are sure to make any Valentine feel loved! What a sweet way to begin the day! 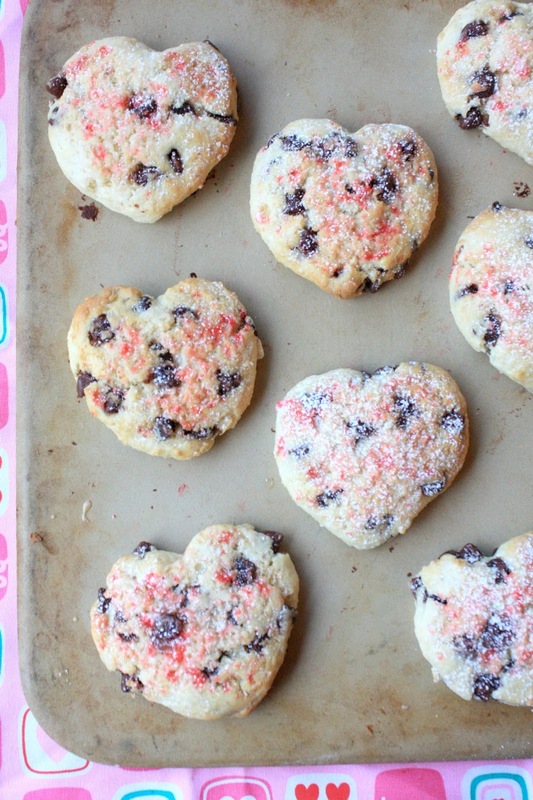 Those scones are so pretty, and just right for Valentine's Day. I have to tell you - I had your blog open and had to leave to do something else. When I got back, my teenage daughter was sitting at the computer scrolling through your old posts, oohing and aahing over how cute everything was! Oh, a great idea! And delicious! These are great! LOVE the peppermint. Love how these look! And I'm all for using up leftover candies!! SCONES...... I love scones. Yours are so pretty! I love these. So festive for a Valentine's brunch or breakfast! Oh my these look amazing...love the 2 flavours...in fact I am sipping on a tea called..read my lips right now with has both chocolate and peppermint in it..yummy. Scones are on my list of things to bake this year. These ones are really cute and I hope your son gets to taste some of these. These look delicious!!! I love peppermint and chocolate and together they are perfecto! Can't wait to try these! What a great idea! I've never thought to combine peppermint and chocolate together in a scone.